This is not your Daddy's steak house! 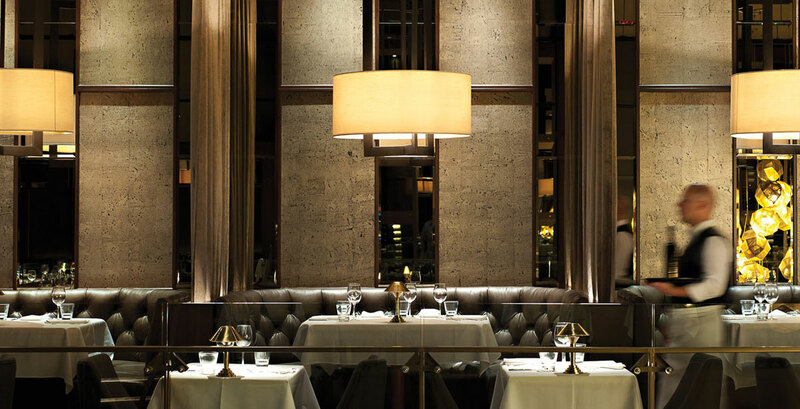 The magic of a classic steakhouse, but with a contemporary twist. There’s a reason we sell more steak than any other restaurant in Vancouver. The Roof, Black+Blue's third floor outdoor restaurant and lounge, is Vancouver's largest rooftop dining destination offering platinum seating to the city's patio scene. We proudly display our beef in the centre of the dining room. The pale pink and orange wall is made of Himalayan salt bricks that do more than just look good. The salt purifies the air & naturally removes moisture. 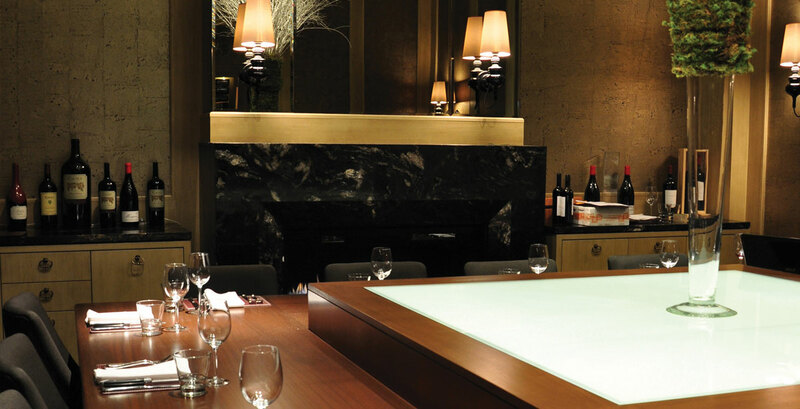 This dry-aging process infuses an unforgettable flavour as it tenderizes the meat. All our steaks are kept in the cooler for 28-45 days; the concentration of flavour creates the highest quality product. Prime grade beef features abundant marbling; red meat laced with an even distribution of fat. The presence of this fat creates a more tender and juicy cut of beef that cooks well in all conditions. Only 2% of graded beef is given Prime grade. Wagyu cattle are known worldwide for producing meat with exceptional marbling and naturally enhanced flavour, tenderness, and juiciness. All of our Japanese Wagyu have a quality score of A5 and marble score between 8-10. Cocktail Hour is on daily from 2:30pm – 6:00pm. Enjoy select Cocktail Hour food items and $5 feature drinks! Black+Blue features a $13 burger & beer every Friday lunch until 2:00pm. 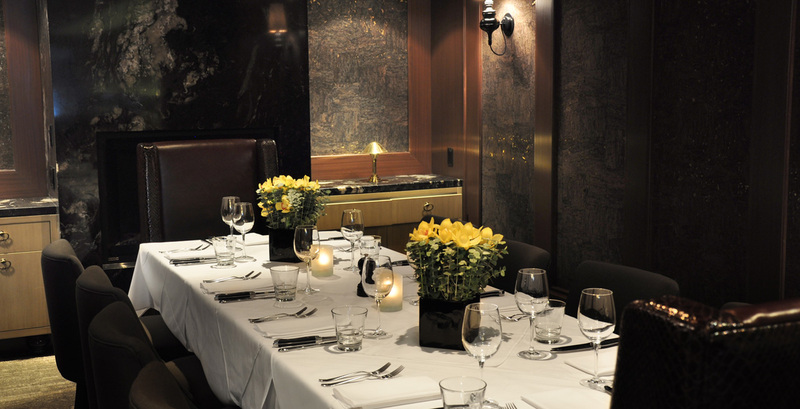 Explore our private dining & event spaces below. Our sales department is here to help whether your party is an intimate party for 10 to a lavish affair for 200. Fully private room with special group menus for up to 18 people. Multimedia equipment available for an additional charge. Fully private room, includes special group menus for up to 24 people. Semi-private room, includes special group menus for up to 16 people. Have the entire restaurant for your next event! Includes special group menus for up to 260 people. 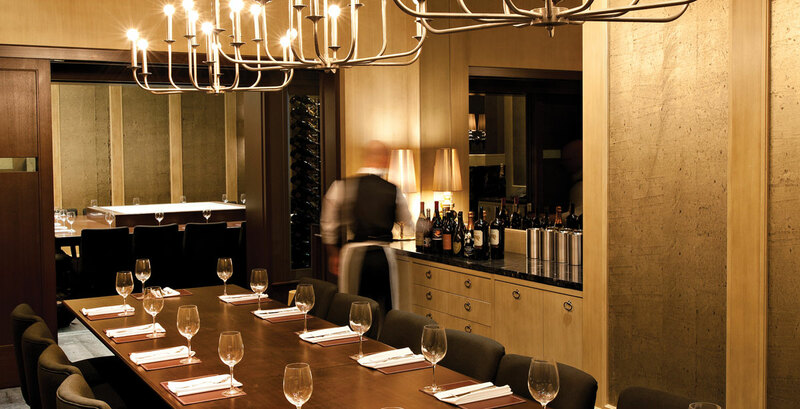 Be the first to receive exclusive details on our upcoming Wine Dinners and Events. Send e-gift cards to yourself or a friend! Choose your artwork, personal message and denomination of $50, $75 or $100. Plastic Giftcards can be purchased in-person at any one of our restaurant locations in any denomination of your choosing.